Todd Freeman, owner of Mike’s Drive-In, started working at the restaurant when he was 14, between his freshman and sophomore years at Milwaukie High School. In those days, there was only one cook and one front person – usually Todd, who was the front-counter man; during the busy times of the year they would add one extra person. Once in the restaurant, Todd knew he wanted to own his own business one day, and has been the owner of Mike’s since March 1984! 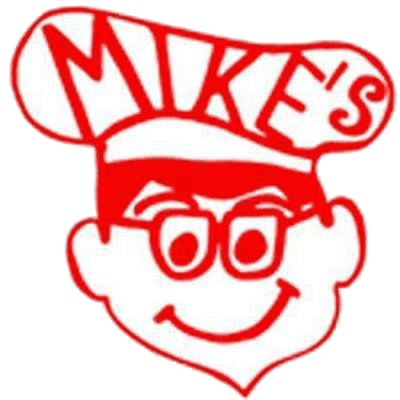 Mike Martin opened the original Mike’s Drive-In in 1971, which was located on 47th & Burnside. He then opened the Milwaukie location in 1973. In the 12 years before Mike’s untimely death in an automobile collision in June of 1983, he had built a successful business, established a good reputation and a solid name familiarity; providing Todd the opportunity to fulfill his boyhood dream. Todd managed Mike’s Drive-In for the family following Martin’s death and acquired the business a week after his 22nd birthday. Todd promised Martin’s family that he would not change the name of the restaurant; he believed “if you’ve got something good and if you change names, people will think it won’t be the same under new ownership and some people won’t like it.” He didn’t make massive changes in the operation of Mike’s, however, one of his first changes was to lower the prices on all of the restaurant’s menu items to bring in more customers. The Milwaukie store thrived on repeat business and lower prices. So much so, that Todd tripled the drive-in’s business in the first three years he owned it. This provided Todd the opportunity to open a second location in Sellwood in November of 1986. The Sellwood location was an old A & W Root Beer Drive-In; it was three times the size and had four times the seating capacity of the Milwaukie Drive-In. As the business continued to grow and Todd was more successful, Freeman opened his third location in Oregon City in 1989. Todd made more changes, but in stages. He gradually added new items to the menu – halibut fish and chips, new variations of hamburgers and some sandwiches. Although the menu has been through several changes over the years, the favorite item of the menu is still the Mike’s Special, a deluxe burger topped with pepper-bacon, Tillamook cheddar cheese, an egg and home-made thousand island dressing!! A burger created by Mike Martin in the early days!! Todd is committed to ensuring the food served at Mike’s is fresh, made-to-order and hot. We always buy our meat (ground chuck), halibut and vegetables from local companies/distributors, and the fresh halibut is cut, dipped in batter and breaded daily in the restaurants kitchens. Mike’s is also well known for our milkshakes – with over 30 flavors, it’s hard not to find something you’ll love!! We always have fresh berries on the menu – Oregon Strawberries, Oregon Blackberries (Marion Berries) and Oregon Raspberries, however, the Wild Huckleberry Shakes are hard to beat during the peak period of August and September!! During the holiday season, we bring in pumpkin and egg nog, seasonal favorites that are sold by the thousands right up until the New Year! Todd continued to build the name and reputation of Mike’s Drive-In when he teamed up with Dave Husted of Milwaukie Bowl and started the Annual Milwaukie Cruise-In!! The first Saturday of August, for the past 30 years, has been earmarked for this festive event! We are happy to also have Purdy’s Carwash and Coffee Shop as additional sponsors for the event. The City of Milwaukie allows the businesses to close down the street between the bowling alley and railroad tracks, which helps to accompany more than 100 classic or custom vehicles! Our motto says it all, “All food cooked fresh to order so it’s fresh and hot just for you! It may take a little longer, BUT WE FEEL YOU’RE WORTH IT.” We also suggest you “CALL AHEAD FOR FASTER SERVICE!” Come on in and say “Hello” and grab a soft cone for only $0.99 – All Day, Every Day!